Birds are such social creatures, so many owners allow their pets to be included at mealtime. 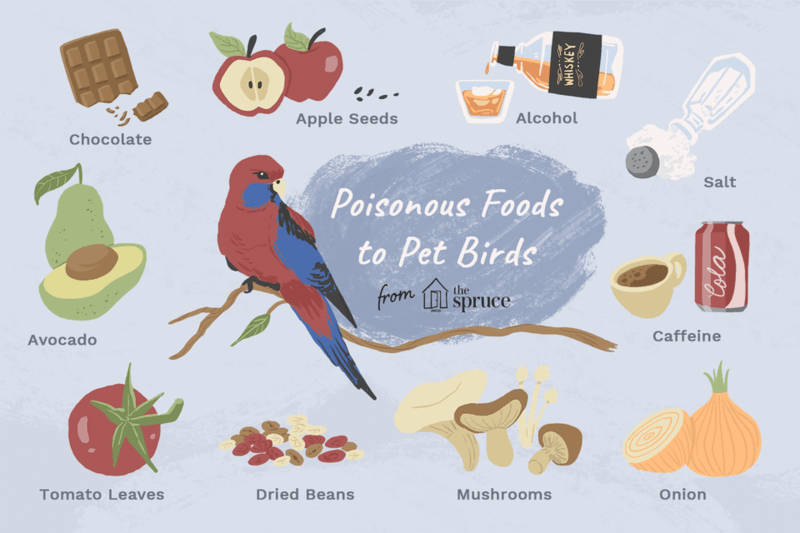 While sharing food with your bird is a lot of fun and can be wonderful for your pet's emotional health, there are many common human foods that can be harmful or even fatal to your bird. Owners need to know which foods are fine for sharing and which pose a serious risk. Chocolate is a wonderful treat to share with human family members, but it can be harmful or fatal to your pet bird. 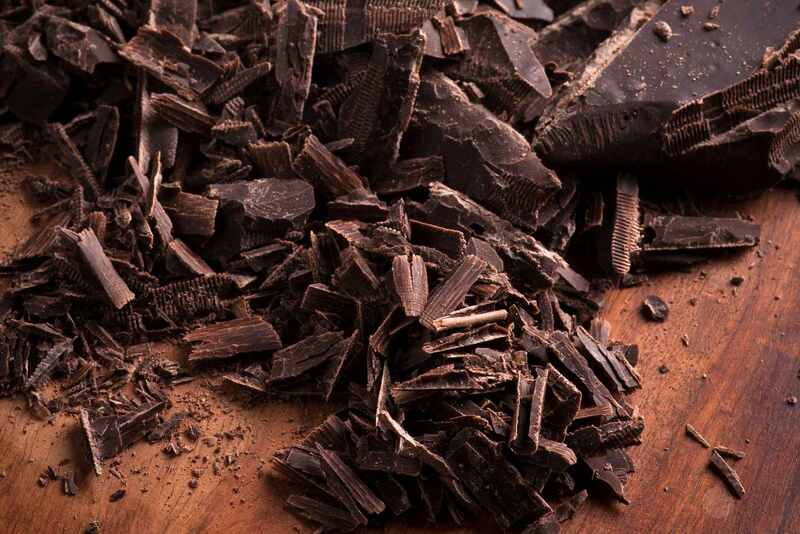 Chocolate poisoning first affects a bird's digestive system, causing vomiting and diarrhea. As the condition progresses, the bird's central nervous system is affected, first causing seizures and eventually death. Apples, along with other members of the rose family including cherries, peaches, apricots, and pears contain trace amounts of cyanide within their seeds. While the fruit of the apple is fine for your bird, be aware that in addition to the poisonous seeds, there may be pesticides present on the fruit's skin. Thoroughly clean and core any apple pieces that you share with your bird to avoid exposure to these toxins. Although responsible bird owners would never dream of offering their pet an alcoholic drink, there have been instances in which free roaming birds have attained alcohol poisoning by helping themselves to unattended cocktails. Alcohol depresses the organ systems of birds and can be fatal. Whenever alcohol is served in your home, keep your bird safe and secure it in its cage. While all living beings need regulated amounts of sodium in their systems, too much salt can lead to a host of health problems in birds, including excessive thirst, dehydration, kidney dysfunction, and death. Keep watch over the number of salty foods your bird consumes. Mushrooms are a type of fungus and have been known to cause digestive upset in companion birds. Caps and stems of some varieties can induce liver failure. Don't let your pet bird consume raw or cooked mushrooms. Tomatoes, like potatoes and other nightshades, have a tasty fruit that is fine as a treat for your bird. The stems, vines, and leaves, however, are highly toxic to your pet. When you offer your bird a tomato treat, make sure it has been properly cleaned and sliced with the green parts removed so that your bird will avoid exposure to toxins. Due to their high acidic content, tomatoes aren't the best option; there are many other vegetables that you can feed your bird. Caffeinated beverages such as soda, coffee, and tea are popular among people, but allowing your bird to indulge in these drinks can be extremely hazardous. Caffeine causes cardiac malfunctions in birds and is associated with increased heartbeat, arrhythmia, hyperactivity, and cardiac arrest. Instead, share a healthy drink of pure fruit or vegetable juice or a fresh smoothie with your bird. This will satisfy both your bird's taste buds and nutritional requirements. Cooked beans are a favorite treat of many birds, but raw, dry beans can be extremely harmful to your pet. Uncooked beans contain a poison called hemagglutinin which is very toxic to birds. To avoid exposure, thoroughly cook any beans that you choose to share with your bird and avoid leaving dried beans in an easily accessible location.